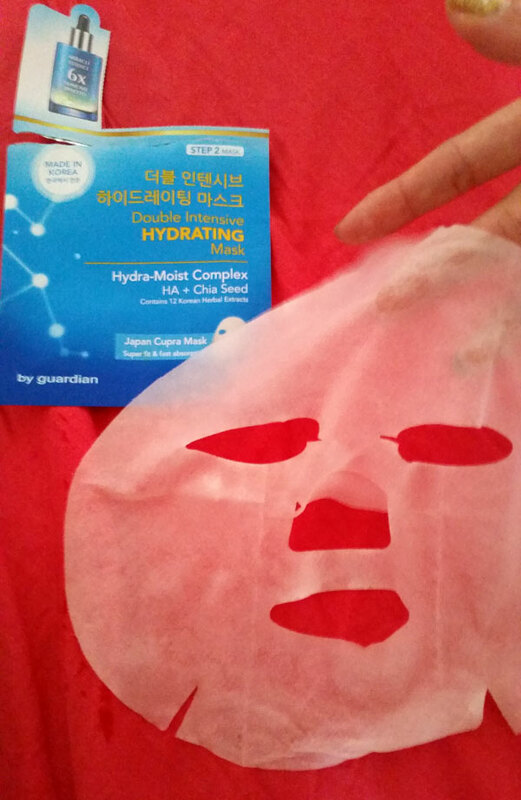 The launch of Guardian Health and Beauty’s two new Korean face mask ranges. 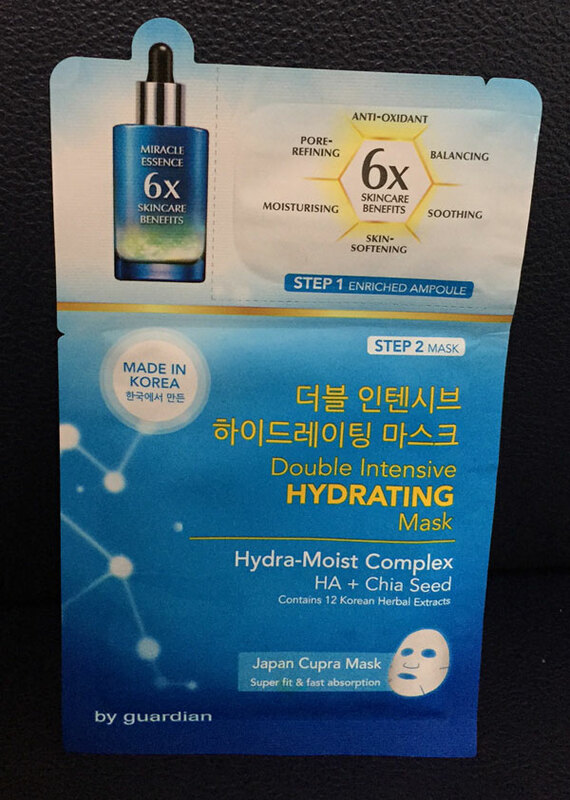 Riding on the K- beauty wave, Singapore’s leading health and beauty chain introduces the Jeju Face Mask range and the Double Intensive Face Mask range – catering to true-blue skincare aficionados with its potent combination of plant-based ingredients and quality product development. The Jeju Face Mask range, for instance, comes infused with the active plant ingredients from Jeju Island, the UNESCO heritage site famed for its natural beauty. The island’s fertile volcanic soil and uncontaminated, fresh water create the ideal breeding ground for cultivating the botanical extracts found in Guardian’s Jeju Face Masks. The range offers four variants for different skincare needs – Jeju Lily for brightening, Jeju Tangerine for nourishing, Jeju Tsubaki for soothing and Jeju Seaweed for moisturising skin. For a quick fix and rejurvenation, this is pretty handy and very affordable . And after using the mask, i find that the makeup sits flawless into the skin. i use mask as a maintenance at home when i feel my skin look dull or tired and my makeup does not sits well. i love sheet mask because it does not take a long time using it, about 15mins for a quick fix and to look good instantly. 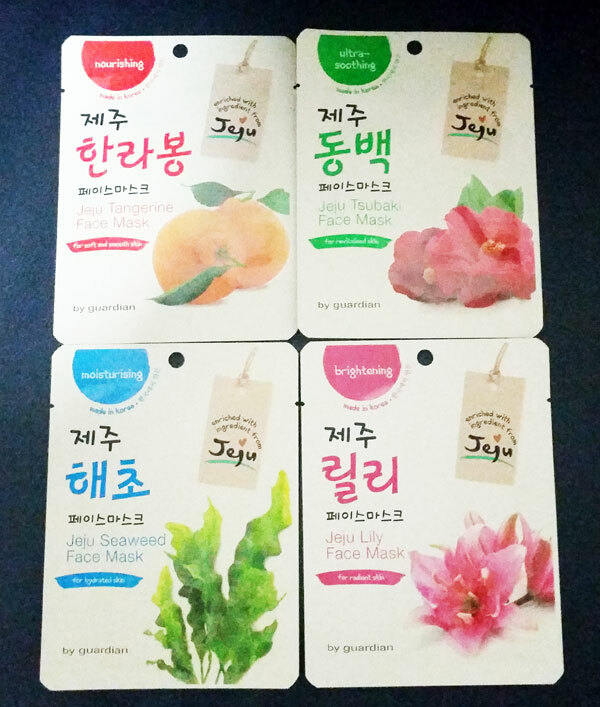 The Double Intensive Face Mask range, is a two-step mask developed and manufactured in Korea. The mask includes an enriched miracle essence ampoule made from fermented botanical extracts that deliver six times more the skincare benefits of ordinary masks. The first step of the Double Intensive Face Mask is the miracle essence, which preps skin for better absorption of active ingredients. The second step, the Japan Cupra Mask, is designed to fit perfectly to every face shape and is crafted from quality material to enable better absorption. This mask is infused with 12 Korean herbal extracts and each of the three mask variants contains a different active complex. These are the Hydra-Moist Complex (HA+ Chia Seed) for the Double Intensive Hydrating Mask, Nutri-Firm Complex (Adenosine +Acerola) for the Double Intensive Firming Mask and the Vita-Glow Complex (Niacinamide + Camu Camu) for the Double Intensive Brightening Mask. 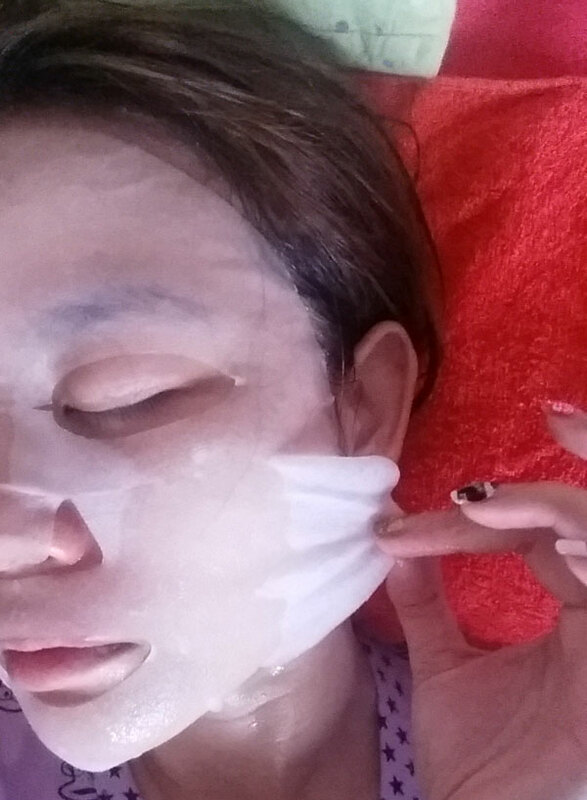 You can see from the photo that the mask is not very thick and fits perfectly on my skin and the size of the mask is not too big for asian face. This is the mask, u can see my fingers , it is not too thick or too thin, just nice 🙂 i like it. Thanks Guardian for bringing in such wonderful mask. i totally love it!! !